This will be depending on what you want the fastest mock REST API to be. USe Anything you want but postman, curl, python request will work well. You have just seen the Fastest Way to Mock a REST API JSON Response. A continuous integration tool written in Java. Continuous integration is the process of merging development work among multiple developers. It also serves to automate unit testing and I am certain other types of testing in test driven development. To simplify all that, it is build automation and in my opinion an automated deployment system (preferably for testing, q&a and staging). Where I have enjoyed the benefits is that if you use git for versioning and yuou are making multiple commits, there is an instantaneous test and deploy after each commit. Rather than the wasteful approach of commiting on local dev, pushing to remote, logging in to testing server, pulling from repo, testing; after every commit. Haven’t created your personal git repo yet? Try this tutorial or a better one. Setup security as you wish, you will need to manage users for this too. Now I am assuming you are using git for source control, if you are not you are wrong. For a non-managed git server, ie. 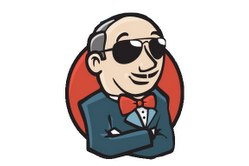 a private git server you have setup yourself you will need to add the git plugin in Jenkins. ssh-keygen -t rsa -C "jenkins@number1.co.za"
Copy the public key, of the ssh key pair. Should be sorted now, but hold on to the key you will need it. Create a new item, add project name and click freestyle project. and add the git repo details along with the public key created earlier. 1. Setup a script to copy the build to document root (staging / live site)…but why is this required? Furthermore shouldn’t the testing be done in a hosted environement, specifically end-to-end tests? 2. 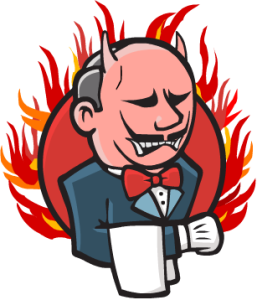 Setup a webhook (from the private personal git repo, and not github) to tell jenkins there has been a commit to master…. I didn’t need a username and password but I think it would be advisable to have a more secure method instead of jsut the token, because analytics tracking and server logs would have logged that query string parameter, and someone could potentially bombard your system with builds constantly. You may have an issue with authentication, if so view the jenkins scripted clients page. Now we may need to look at testing deployments and copying to web server if successful.